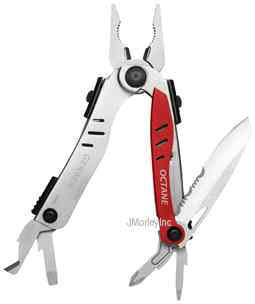 Description: Our patented one-hand opening design makes the Octane a quick starter, while the sleek form and function ensure it's a top performer. It's light enough to carry in your pocket, but suprising enough to reveal a multitude of 8 additional components in addition to the sturdy pliers. MSRP $67.50.